I just received a lovely piece of fan art. Obviously, it’s Pancras and he looks great. I think he’d be a bit embarrassed and no doubt the drak twins would tease him for weeks. The Best Four Days of Gaming™ have come and gone and Gen Con 50 is behind us. I came away with a pleasing number of sales (which will hopefully generate some new fans for the World of Calliome and Zack Jackson), some new ideas, and a few hopes for future projects/collaborations. I would love to shout from the rooftops about a couple of these potential opportunities, but since nothing is set in stone, it really would serve no purpose save to get my hopes up. I prefer to be calm about such things until there’s something to actually talk about. The convention itself was the typical mix of awesome and obnoxious. Fortunately, the awesome outweighed the obnoxious. I think I’m going to invest in some cloth banners to hang from the backdrop next year and eschew the pictures in frames. They’re unwieldly, unstable, and difficult to travel with. I’m also happy that only one person made the mistake of thinking MY name is Zack Jackson. At some point, I suppose I’ll have to start picking and choosing which titles to bring. I’ll definitely have Zack Jackson & the Secret of Venus for next year (I’m hoping to have it published by the end of the year, frankly), and if my schedule holds and no immediate paid work comes up, maybe another title as well. There is another World of Calliome novel in the works, but as I’m only about 1/4 – 1/3 into the first draft, that’s all I’ll say about it for now. Well, that, and it features a cast of all-new characters. I can’t really comment on the gaming. As an exhibitor on Author’s Avenue, I only spent about an hour wandering the Dealer Hall, and since most vendors were closed when I did, I didn’t see much. I didn’t sign up for any events; when you work all day in the Dealer Hall, committing yourself to something else when you could be finding dinner and resting for the next day is difficult. It’s tiring, but rewarding. The next convention at which I’m scheduled to make an appearance is GameHole Con in Madison, WI. I’m mostly scoping that con out this year, so I’m only appearing on one panel and will likely not be there all four days. In the meantime, I’ll keep writing and hope that you keep reading. Scars of the Sundering, book 2: Lament – Now Available for Pre-Order! 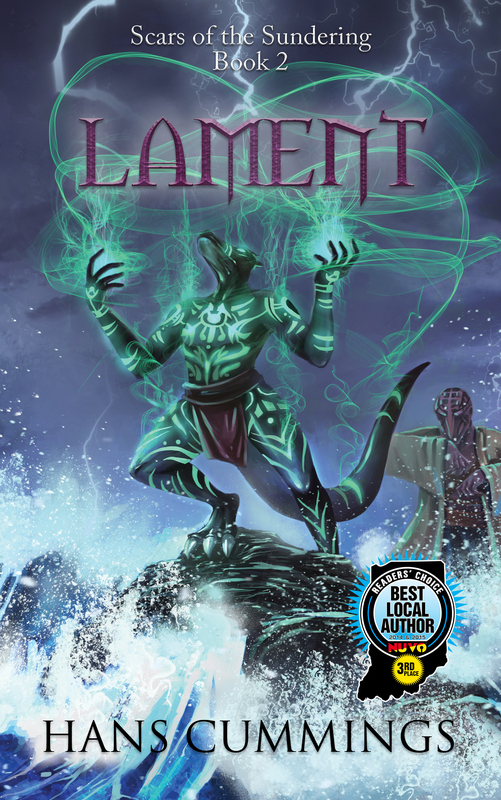 After much pain and heartache, the second novel in my Scars of the Sundering series, Lament, is now available for pre-order for Kindle. Pancras and the drak twins reach Muncifer. The judgment of Archmage Vilkan Icebreaker was swift: Pancras is sent to the far side of the continent and Delilah remains the Arcane University. His penance takes him toward the far north, and is made only somewhat better by the companionship of The Golden Slayer and the fiendling Qaliah. Along the way, events drive Pancras to rekindle his faith in Aita. Bound to the Arcane University, Delilah works to escape, while her brother uncovers an ancient Munciferian secret that will change the very nature of magic as they know it and shake the foundation upon which the Arcane University was built. Pre-orders will be delivered on August 1st. The print version will be released at Gen Con (August 4th) and but if you can’t wait, is available on Amazon.com right now! It’s not a spoiler to reveal that our heroes reach Muncifer in Lament, book 2 of Scars of the Sundering. A new locale means new characters, and two women enter Pancras’s life and change the course of his future. 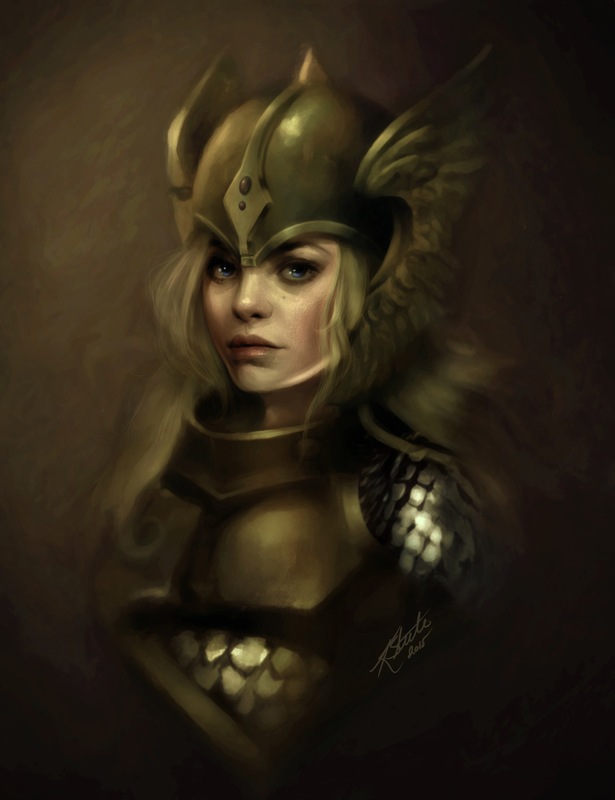 The first is The Golden Slayer, Gisella Vibekedottir, a warrior from the Four Watches. She serves the Arcane University as a Slayer, the organization that hunts down renegade wizards and brings them to justice (or more often: brings justice to them). Unlike her fellow Watch brothers and sisters, Gisella is a devotee of Aurora, the goddess of love and beauty. She bucked tradition as a youth to set herself apart from her sister Alysha, a powerful sorceress, and the tainted (in her mind) legacy of her ancestors. Plus, being the only member of her immediate family who was not magically inclined, Gisella sought her own identity, apart from what others expected of her. The stern, merciless persona of The Golden Slayer masks the mead-loving, thoughtful Gisella’s true personality. 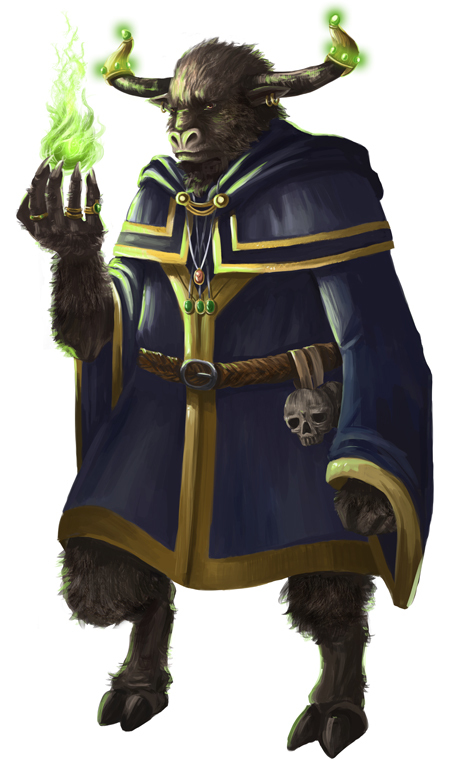 She lets her hair down, literally and figuratively around friends, but they are few and far between in Muncifer, a city torn between its honorable Duke and its vitriolic, power-hungry Archmage. Lament will be available early 2016. Scars of the Sundering, book 1: Malediction is available in print and on Kindle from Amazon.com. World of Calliome – updated! For Scars of the Sundering, I decided to update the world map. Sure, I could be cheap and just include the same map I used in Wings of Twilight and Iron Fist of the Oroqs, but Scars of the Sundering spans most of Andelosia (that’s the continent you can see on the existing map), so the world is more detailed than it was when I had Jonathan Roberts draw that map. Anna B. Meyer has been commissioned to update the map. 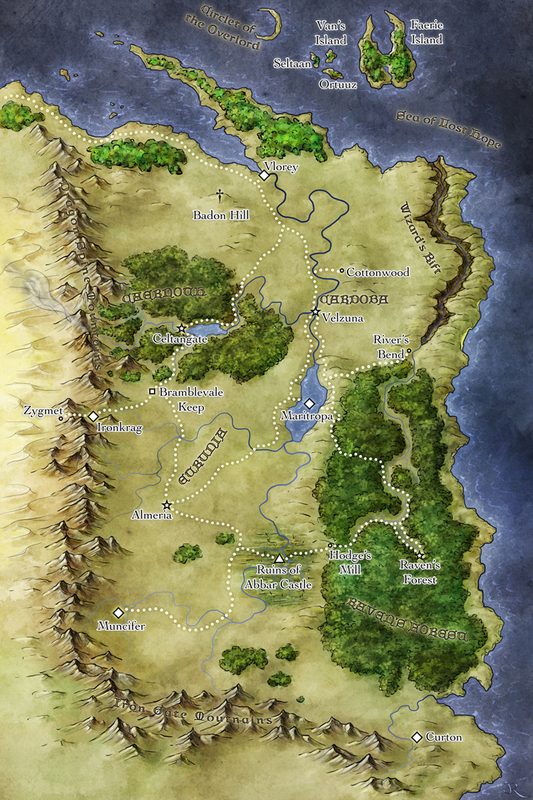 I wanted to go with a different style this time, and I really love the World of Greyhawk maps she recreated. The World of Greyhawk (one of the first settings for Dungeons & Dragons) was the first fantasy world I really got to know, so it holds a special place in my heart. I’d like to share with you the annotated map I provided to her. One of my goals is to make the new map more accurate (with regards to distances). I deliberately left the scale vague in the first two books, but it seems more important now, particularly since I establish that the continent is large enough that the people of the north are darker skinned, living in a near sub-tropical environment and people in the south are pale southerns similar to Scandinavians. Who knows? The full-size version of this map might even have some heraldry on it! If you’re a “purist” however, take heart: the landmass isn’t going to change significantly, this is an update, not a re-envisioning. New art and new fantasy novels! While I was at Gen Con, I met an impressive young artist, Lily Yang. Her portfolio impressed me so much, I decided to commission her to do the covers for my next three fantasy novels. I’m currently working on the first of three books that continues the story of Pancras and the drak twins, Kale and Delilah from my previous fantasy duology, The Foundation of Drak-Anor. I also commissioned her to do some character art for me that I can use in promotional materials. You can see the first such commission to the right. The new trilogy is tentatively titled: The Necromancer’s Tale and will consist of three volumes: Malediction, Lament, and Salvation. The titles are still works-in-progress and may change as I continue writing. 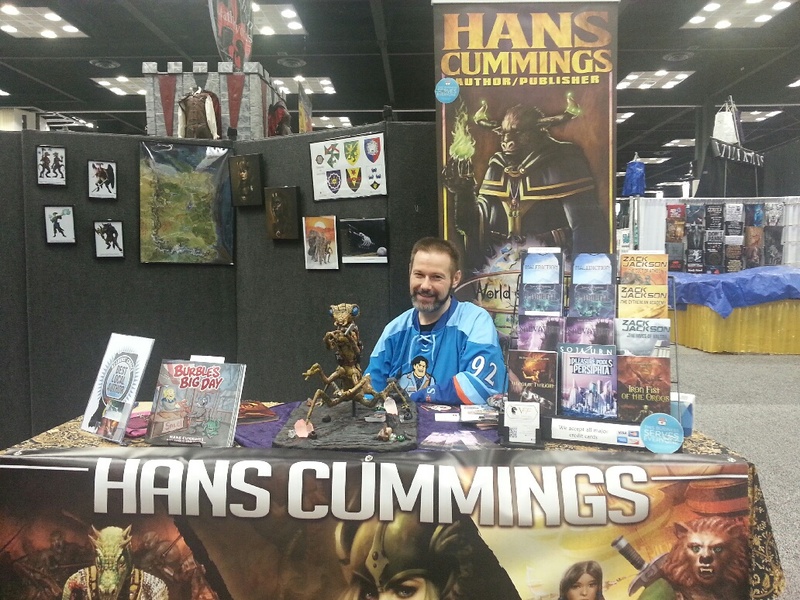 Gen Con was successful for me and I sold through all but two or three of the remaining copies of The Foundation of Drak-Anor Gen Con-exclusive hardcover omnibus. Once these hardcovers are gone, I do not plan to produce more of them, although the individual books, Wings of Twilight and Iron Fist of the Oroqs will still be available in paperback and for e-readers. I also have an announcement to make regarding the third book in the Zack Jackson series, but I will save that for a separate post. I have secured permission to embed The Ballad of Twilight Dungeon on this site! This song contains spoilers for the plot of Wings of Twilight. It was commissioned by my wife as a Christmas present. The song was written and performed by Dan Marcotte, aka Dan the Bard. If you’ve ever been to the Bristol Renaissance Faire, you may have heard him perform. You can learn more about his music at either the link above, or a http://www.bardsong.net. The great thing about this song is that if it’s been a while since you’ve read Wings of Twilight, or you didn’t read it, but read Iron Fist of the Oroqs, the song will tell you the tale of what occurred in the first book of The Foundation of Drak-Anor series, much like the minstrel play in the prologue of book two. In fact, one could skip the prologue altogether, and just listen to the song instead! 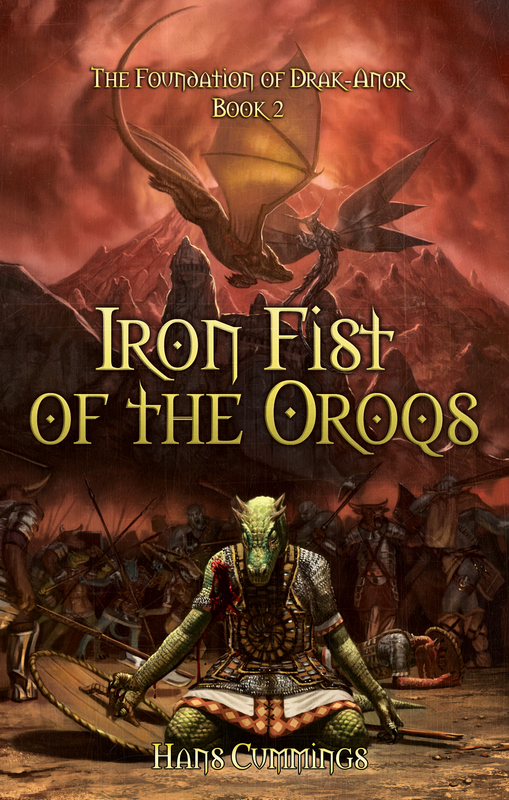 I’m going to look into embedding the file in to the Kindle version of Iron Fist of the Oroqs, as well, though file size considerations may make that impractical. If you’re looking for a gamer’s perspective, see here. So yeah, it was a successful con for me. I met with a lot of new readers and sold books to both people I knew and complete strangers. I truly hope everyone who bought one of my books enjoys it. I made some contacts with people who might try to get the Zack Jackson series in elementary school science classes (making an effort to use real science in those books is paying off) and I spoke with a representative from the local library system. I did not sell out of my Gen Con-exclusive limited edition omnibus of The Foundation of Drak-Anor; I sold just over half of them. I’ll hang onto the rest of the until next Gen Con, but I won’t be printing anymore because I stand by my assertion that it was a LIMITED EDITION. I printed 50 copies and 50 copies there shall be. Now that the convention is over, it’s time to get back to work on my next book. I have a short story called “Forgotten Dreams” that is going to be in an anthology. “Forgotten Dreams” takes place in a new science fantasy setting I call “The Seven Galaxies.” I’ll reveal more when the anthology is officially announced and more things are locked in; we’re all still in the editing & peer review phase of our stories. My next book, as I’ve mentioned in an earlier blog post, is called Scars of the Sundering. It is a fantasy novel taking place on the World of Calliome (which you may remember from Wings of Twilight and Iron Fist of the Oroqs), but we’ve moved further south, to the once-prosperous mining town of Curton. It is now five (five, five plus…still working that out) years beyond the events in Iron Fist of the Oroqs and we’ll see that a magical world like Calliome cannot be sundered and then healed without a few problems occurring in the deep places of the world. You’ll see what’s become of Tasha Galperin, though the novel focuses on a wayward transmuter and enchanter named Vasco Dragonblade from Maritropa and on the Constable of Curton, Knight-Commander of the Royal Order of the Shield, Aveline Durant, a woman whose family immigrated south from the coastal port of Vlorey to settle among the miners and mudders of Curton in a more prosperous time. I will try to update this blog more often, but despite my success at Gen Con, I still feel like I don’t have a whole lot to say about my craft that isn’t already being said by folks more experienced than me. Scars of the Sundering takes place some time after Iron Fist of the Oroqs. The sorceress Tasha Galperin has established a life for herself in the mining community of Curton, far from the locations and events that, thus far, have defined her life. Curton once thrived with the copper trade, but has fallen on hard times. When cultists begin making trouble, the true power and reach of chaos will test her resolve, and that of the townsfolk of Curton. Scars of the Sundering is a stand-alone novel set in the World of Calliome. So, I had an idea last night while driving home for another story set in the World of Calliome. I’ll be writing down a synopsis and some character bios over the next couple of days. Not counting Wings of Twilight and its upcoming sequel Iron Fist of the Oroqs, that gives me six – nine more novels set on the Andelosian continent of Calliome (that’s the part of the world Jonathan Roberts mapped out for me). I say six – nine because one idea might have enough material to form a trilogy. For the most part, these novels will not feature the same cast of character as Wings of Twilight and Iron Fist of the Oroqs, though a character might make an appearance here or there (in fact, a character from those two novels will appear in a future novel or two, but they won’t really be part of a series, just a continuation of that particular character’s story). I even have working titles for most of them. One is as sophisticated as “Untitled Calliome Story” (that’s the potential trilogy). Of course, I won’t reveal most of the titles yet ’cause they’ll probably change. Certainly, Untitled Calliome Story will change. When I’m finished, I’ll have stories that take place pretty much all over this part of the world, including one that takes place after The Sundering, but before the world was healed. I’ve alluded to The Sundering in Wings of Twilight and Iron Fist of the Oroqs, but for those of you who haven’t read my books yet, The Sundering was a cataclysm that nearly destroyed Calliome. For several centuries, the world was split into many pieces, held together by powerful (and, as yet, unrevealed) magic. The Fae Realm was completely severed from the Mortal Realm (meaning no faeries, no elves, and very little magic). The Healing of the World was nearly as traumatic as The Sundering and much of the technology that helped people survive on the broken world was lost. You’ll be able to read about some of that in Sky Pirates of Andelosia (it’s an unfinished manuscript right now, about 55,000 words or so). Two (or 5 if the trilogy happens) take place in Cardoba and Vlorey. One of them is an idea I had for a supernatural horror-romance story, but I’ve had to shelve that idea since Stephanie Meyer’s Twilight series came out because, yes, it features a vampire protagonist involved with a human. Of course, my vampires don’t sparkle in the sunlight (it kills them fast and gruesomely) and neither protagonist is in high school. I think my idea has enough of a twist to make it a good idea, but there’s just too much supernatural romance out there and I fear it would get lost in the noise. The other deals with the King of Vlorey and various politics surround his situation and succession. Another story deals with a knight and his companion discovering the remains of a dead god. That story will reveal more about The Sundering, I think, but will mostly be a character-driven story. It will start in Etrunia, but take us across the continent to the northeast over to the Wizard’s Rift. I also have a story set in Etrunia dealing with a mis-guided death cultist, lost love, and a very young (pre-teen, in fact) Tasha Galperin. It is actually a story the character herself relates in Iron Fist of the Oroqs, but the novel will only feature her in a very small, bit part. She’s a participant in events, but the story isn’t about her. 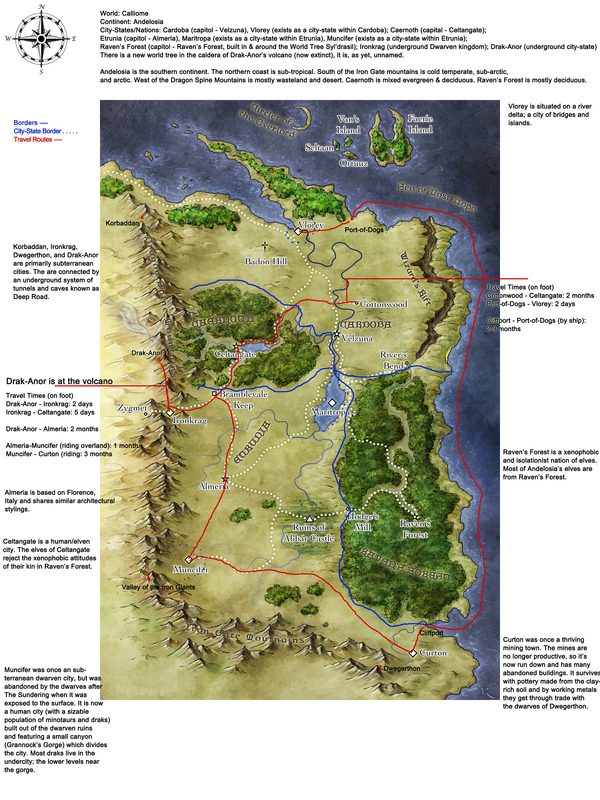 Finally, there is a story set in Curton (it’s the town south of Raven’s Forest on that map) that features a character from Wings of Twilight and Iron Fist of the Oroqs in a supporting role (taking place after those two novels) and ties in with Sky Pirates of Andelosia. Again, the protagonist is not in any other books, so it’s not really a sequel to any of the others. I mentioned that one of the books is a mostly character-driven story. I think that’s true for all my books. They might get caught up in important events, but ultimately, all the stories are about them characters and how they deal with and grow in the situations in which they find themselves. Couple these ideas with the half-a-dozen or more ideas I have for the Zack Jackson series, and I think I have enough books to write to keep me busy for many years to come. 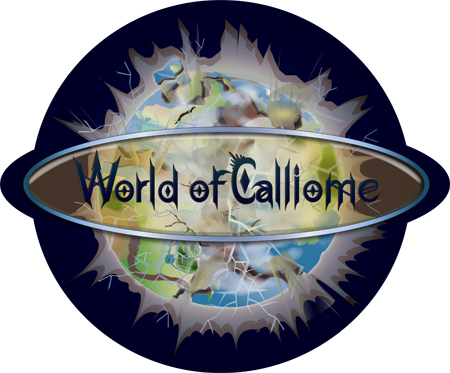 World of Calliome logo by Gwyenth Ravenscraft.